Extra Virgin Coconut Oil Review on Sensitive Acne Prone Skin. COCONUT OIL is the best thing for all skin types specially dry skin and EXTRA VIRGIN COCONUT OIL works even better if the skin type is sensitive. In my teenage, I never used any kind of oil since I have oily acne prone skin with huge acne, pimples and I always thought using any oil would aggravate my acne even more. But few years ago when I came to know the importance of this wonderful coconut oil in extra virgin pure organic form, I could not resist myself from trying it. 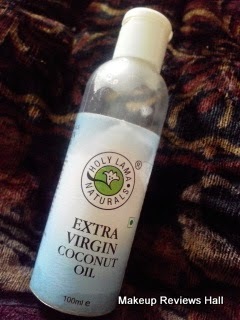 The first virgin coconut oil I tried was Merit VCO, then I tried this Holy Lama Naturals, then Aloe Vera Distil and recently I tried the KLF Nirmal Virgin Coconut Oil, which I would review in some while. For now let's start with the review of this Holy Natural Virgin Oil. 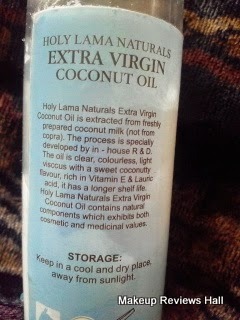 What this Holy Lama Naturals Coconut Oil Claims? 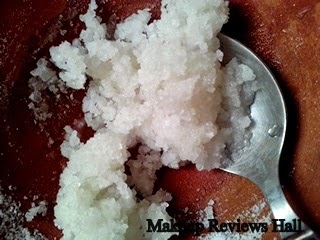 It is extracted from freshly prepared coconut milk. The oil is clear, colorless, light viscous with a sweet coconut flavor rich in Vitamin E and has a longer shelf life. 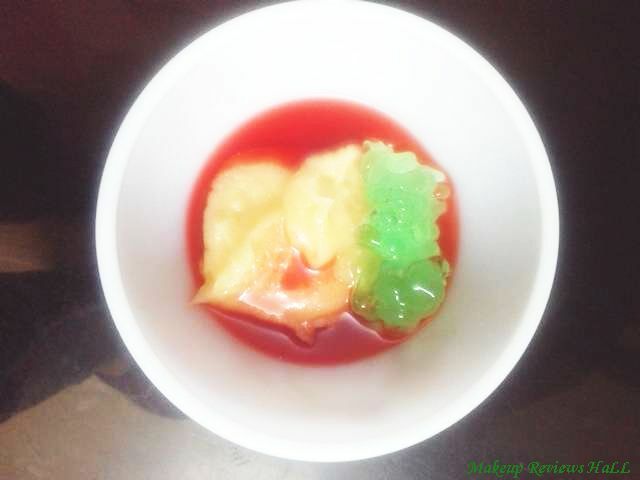 It contains natural components which exhibit both cosmetic and medicinal values. Massage on body for soft skin and on scalp for coolness and for lush hair growth. High quality of this oil makes it an ideal massage oil for newborn babies. Used traditionally for ages, it is considered to be good for the skin and bones of the newborn baby. It is not just for the baby; but also for the Mother-to-be, as excellent anti-stretch mark oil. It is the only natural oil containing “lauric acid” found in Mother’s milk making it the ideal substitute. Only recently has modern medical research confirmed the many health benefits traditionally attributed to this remarkable oil. It can rightly be called "nutraceutical" because of its ability to help a number of health problems. An incredible fact about virgin coconut oil is that even though it is a fat, it actually promotes weight loss. It is also popular in the West to garnish “salads” with Virgin Coconut Oil. This oil comes in a cute small transparent bottle with a flip top which is quite tight to open, but not too difficult making it a complete travel friendly bottle. I like the packing of this but in winters, I face lot of problem while using this since the oil gets freeze and thus does not comes out of the whole and requires full cap to be removed our melting the oil by dipping the bottle in hot water. I somehow manage with it since this is a regular problem with most of the oil in winters and the frozen coconut oil actually proves its purity. 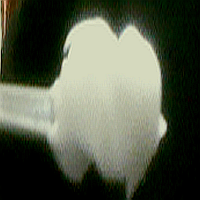 The oil.is quite light, not thick like regular oils. 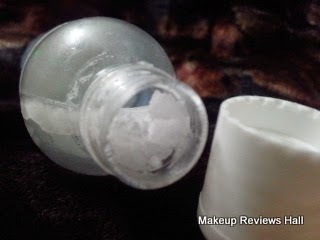 I normally apply it at night after face cleansing since in day time, it makes my face look extra shiny and little dark. I don't like that great greasy feeling and avoid it during the day specially in summers. In summers, I do apply it at times when suffering with extra dry skin. 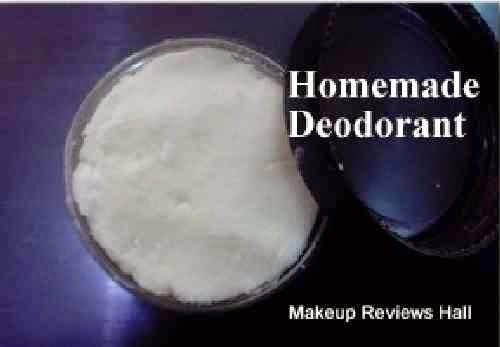 Also Read Homemade Extra Virgin Coconut Oil Deodorant. 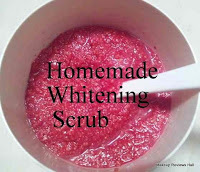 Homemade Coconut Oil Scrub for Sensitive Skin. My skin looks fresh and radiant in morning. It has a nice healthy glow even if I sleep tired. This all because of this pure coconut oil. But yes I do not really feel any magical effects on my dry skin as expected. I have normally read that extra virgin pure coconut oil works wonders on dry skin, taking away all dryness, removing all lines and wrinkles, just making skin extra smooth. However this wasn't the case with me. 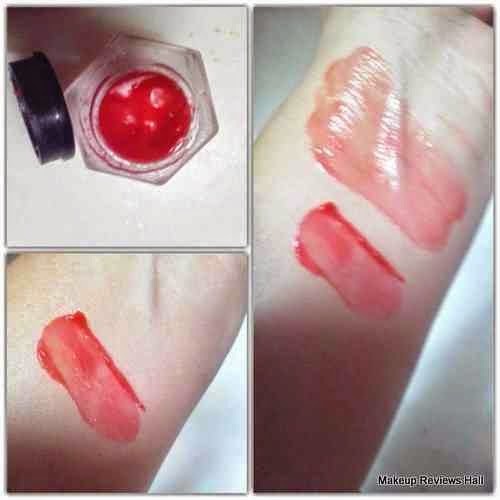 I felt my skin to be slightly dry and stretchy in morning when I applied this oil at night on my extra dry skin. Specially in winters, I did not feel any huge difference in my skin condition considering the skin dryness. 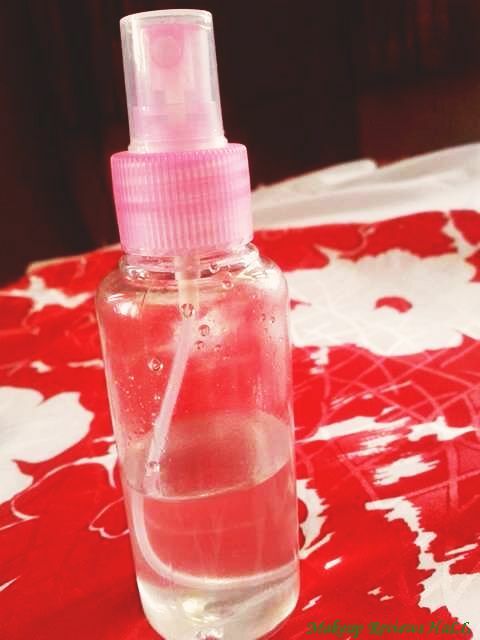 Though it did not aggravate my acne or pimples or caused any reaction on my sensitive skin, rather improved my skin tone and also reduced acne scars to a huge extent on using this oil regularly on facial skin for then few weeks. Overall I would say normally extra virgin coconut oil is said to be skin's best friend. This Holy Lama Naturals Extra Virgin Oil is a nice oil specially for oily and sensitive skin since it does but aggravate acne nor cause any reaction. Dry skin beauties might not like it since it does not do much in case of dryness. Best oil for sensitive acne prone skin. Chemical free in pure organic form. Does but work much in case of dry skin. Does but remove fine lines and wrinkles. Difficult to find both online and offline. Interesting article here about the Extra Virgin Coconut oil . I am glad to visit here and got an interesting information from here. Thanks for sharing this interesting information with us.